Don Price, the current Chair of the Board of CyberCIL, is originally from Wisconsin, but has been an Arizona resident since 1986. Don was injured in a diving accident in 1982 which left him with a spinal cord injury at the C5-6 level. He attended college at the University of Wisconsin at Stevens Point, before transferring to the warmer climate of Arizona State University. Don received two Bachelors degrees from ASU: BS in Geography (Urban Studies), and BS in Computer Information Systems. During college Don established the Arizona chapter of Fishing Has No Boundaries, a non-profit organization dedicated to providing fishing experiences for persons with disabilities. Don Price is currently the Early Intervention Coordinator at AZ Bridge to Independent Living (ABIL), in Phoenix. 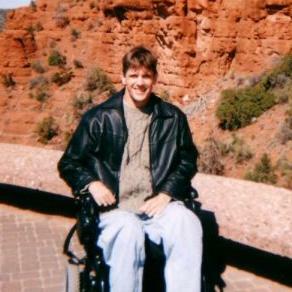 He is also on the board of the AZ Spinal Cord Injury Association, as well as a member of the State Rehab Council, and the Sports and Recreation Page Coordinator at CyberCIL. Don has strong beliefs that life does not end at the onset of a disability. In fact, he believes that the quality of life can be as good or better for a person with a disability as for a person without a disability, given equal access to choices and control of ones life. It is this belief in the fundamental tenets of the Independent Living Philosophy that attracted Don to CyberCIL. Don's interests include: fishing, travel, photography, music, college sports, writing, and computers. He currently lives in Tempe, and can often be found fishing at Tempe Town Lake or zipping around downtown in his power wheelchair. Offering happiness and independence on the back of a horse HORSES HELP provides therapeutic and recreational horseback riding to a diverse population of people with special needs. Camelot's mission is to improve the quality of life for children and adults with disabilities through programs of horsemanship and outdoor education, which develop self-worth, independence and active participation in the community. Since its inception in 1980, Camelot has offered one-on-one education, with instruction tailored to the individual needs of the student. The student learns riding, grooming, training, showing, breeding, vet care and stable management. The Mesa Association of Sports for the Disabled (MASD) is an all-volunteer, not for profit organization dedicated to providing sports and recreation opportunities to individuals with all types of disability. This could include but not be limited to mental retardation, orthopedic impairment, sensory deficit and/or neurological involvement. The Association provides year round sports training and competition through our Special Olympics programs for athletes who are mentally disabled. 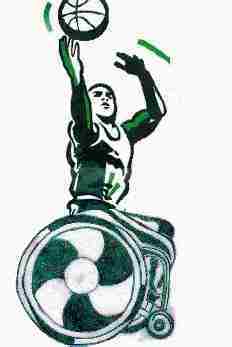 In addition, sports and recreation opportunities are provided for individuals with physical disabilities through our programs sanctioned by Wheelchair Sports, USA; National Disability Sports Alliance; Disabled Sports, USA; and the United States Association of Blind Athletes. The Association coordinates various resources in a cooperative effort with the Mesa Unified School District and the City of Mesa Parks, Recreation and Cultural Division to provide a comprehensive program of sports and recreation to individuals with disabilities of all ages. Alpine Ski Scholarship for adult, first time skiers! New Dimensions (ND) is a relatively new scholarship program developed by a family that has worked with Adaptive Sports (ASA) in Durango, CO for the past 7 years. Their vision is to bring, preferably first time (since their disability), adult skiers to Durango (at no cost to them) to experience their program. They also are hoping that through this experience , many participants would be willing to help promote ASA and the ND Scholarship Program. Our Adaptive programs in Mesa embrace their vision and encourage adults with a physical experience to apply for the thrilling experience! Currently New Dimensions flies 5 to 10 participants there for 5 days (usually in groups of 2 to 4), arranges lift tickets, equipment, private instruction, winter clothing (if needed) and accommodations with a local family for their stay. There are also some planned evening events and it always ends with a going away party at a local restaurant. There, the participant usually shares their experiences with many of the volunteer instructors and acquaintances made during their stay. That party has always been a very positive event for all who attend. The goal of New Dimensions is to double or triple the number of participants that can experience ASA. If interested, please visit www.asadurango.org. Specific information can be found under scholarships - New Dimensions. Also, those interested in the scholarship OR would like to head to the slopes without the scholarship can contact the program office directly at 970.250.0374.